Staples.ca just released a Back to School coupon! 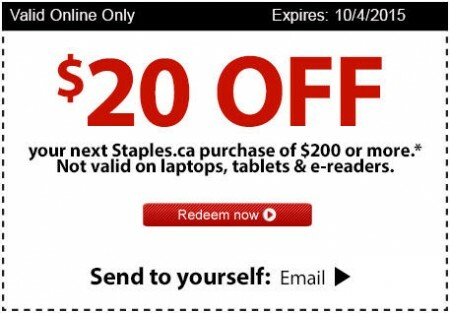 Save $20 off your next Staples.ca purchase of $200 or more! The coupon is available online-only at Staples.ca until October 4, 2015. The coupon is not valid on laptops, tablets and e-readers. Staples offers free in-store pick-up or free shipping on online orders over $45. Click here to get Staples’s $20 off coupon. Click here to shop Staples online.